On April 20, 2016, LWB inaugurated the first Ideas Box in Senegal at the Maison de la Presse in the capital Dakar in the presence of partners, honored guests such as the French Ambassador to Senegal, members of the local press and young leaders of the BSF campus program carried out by LWB in West Africa. 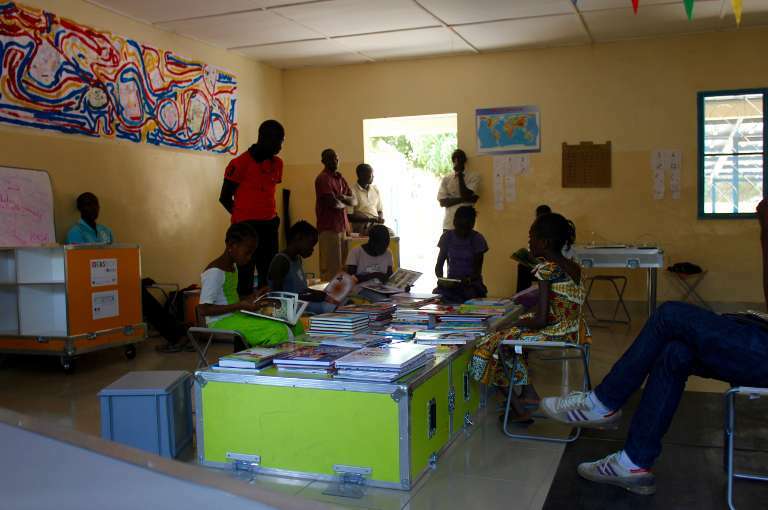 After the ceremony, which included a presentation of several projects imagined by BSF Campus young leaders (such as a mobile library, or an arts and sustainability village), the Ideas Box was then taken to the city of Ziguinchor in the south of the country where it will be deployed in collaboration with the local nonprofit, Future au Présent. Financed by the UEFA Foundation, the project will contribute to the ongoing work carried out by the Senegalese organization in the field of child protection and education, since it is destined for street children in that region. Thanks to the Ideas Box, they will be able to maximize the impact of their work by taking their activities to the streets where the children are, as well as primary and secondary schools in the city outskirts. In order to ensure the sustainability of the project, income-generating activities will be implemented and local entrepreneurship will be promoted via the Box and its many resources.